San Francisco, CA, June 12, 2018 – VIZ Media, LLC (VIZ Media), a premier company in the fields of publishing, animation distribution, and global entertainment licensing, announces a new series set in the world of the bestselling manga series MY HERO ACADEMIA with the release of MY HERO ACADEMIA: VIGILANTES on July 3rd. MY HERO ACADEMIA: VIGILANTES is set in a superpowered society, where there is nothing ordinary about evil anymore. Heroes, trained and licensed to protect and defend the public against supervillains, stand above all the rest. Not everyone can be a hero, however, and there are those who would use their powers to serve the people without legal sanction. But do they fight for justice in the shadows, or for reasons known only to themselves? 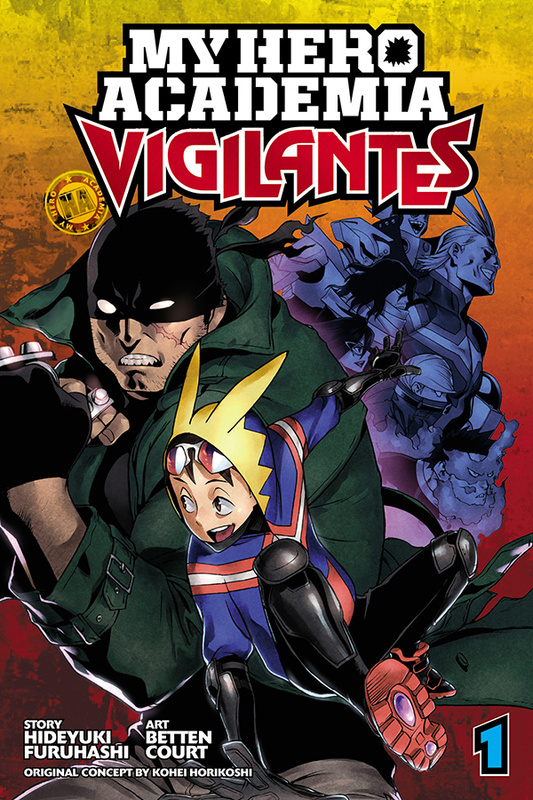 Whatever they fight for, they are called…vigilantes. MY HERO ACADEMIA manga creator Kohei Horikoshi was born in Aichi, Japan in 1986. received a Tezuka Award Honorable Mention in 2006, and after publishing several short stories in Akamaru Jump, his first serialized work, Oumagadoki Doubutsuen, debuted in Weekly Shonen Jump in 2010. MY HERO ACADEMIA is his third series to appear in Japan in Weekly Shonen Jump and it was also adapted into a popular anime series that currently airs across North America on Adult Swim. 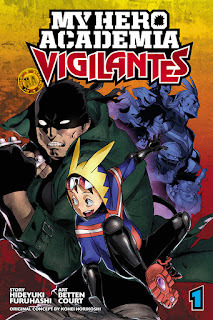 For additional information on MY HERO ACADEMIA: VIGILANTES and other manga titles published by VIZ Media, please visit viz.com.